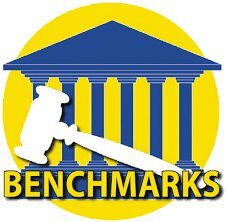 Thank you for volunteering for the Florida Bar's Benchmarks civics education program! Posted in this sign-up are speaking opportunities brought to you by the Palm Beach County Bar Association's Law Related Education Committee. If you would like to sign up for a speaking spot, please enter your information. (Wed. 12:00pm - 12:30pm) Hadassah Women's Group, Boca Pointe Country Club, "How to Judge Judicial Candidates"